We live in healthy times. The average life expectancy for a child born in the US today is 79 years old, which means a lot of us can hope to live even longer than that. 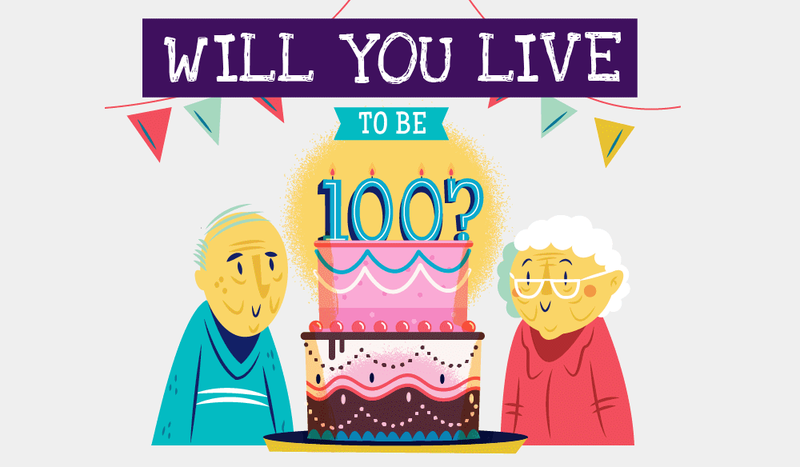 So what can you do to make sure you reach the age of 100? The 20th century really turned things around for humankind. Life expectancy has increased significantly in the past 150 years thanks to improvements in living conditions and healthcare. However, many people still fail to reach an advanced age — much of that stems from unhealthy lifestyle choices. Take your work-life balance, for instance. Too much work and not enough play can have serious effects on your health. You can give yourself a better shot at longevity by making sure you leave your work at the office. Switching off your notifications when you’re at home is a good start. The time we spend with other people also has a surprising impact. You see, with weak social connections had a 50% higher chance of dying. If you spend a lot of time alone, arranging regular meet-ups with your friends might give you a better shot of hitting the big 1-0-0.